The beginning of the year always signals a reevaluation of old strategies and the hunt for newer ones to stay competitive in your industry. Driven by a host of emerging technologies and an influx of new insights, consumer behavior continues to evolve at breakneck speeds. Understandably, B2B marketers are hard-pressed to recalibrate their lead generation strategies in this ever-shifting landscape. The explosion of content addressing consumer concerns at every step of the buyer’s journey has developed increasingly educated consumers. Additionally, advancing technology has heightened consumer expectations for customer experience. In fact, a study by customer intelligence firm, Walker Information, projects that customer experience will surpass price and product as the key brand differentiator by the year 2020. Some B2B brands are getting better at converting their prospects while others are stuck in their old ways, perhaps unsure how to spice things up. 61% percent of businesses are saying that lead generation is their biggest marketing challenge, as per HubSpot’s State of Inbound report. There are many free lead generation tactics out there, but few will help you maximize your ROI. Here are effective B2B lead generation strategies that will play up your game in 2019. 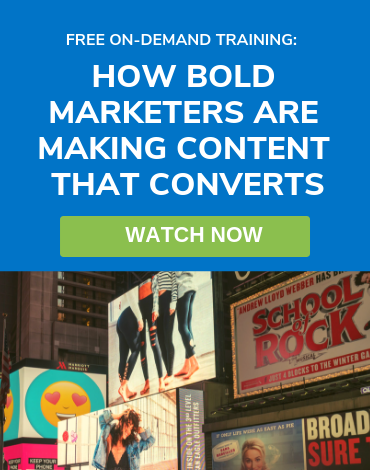 Not every marketer is confident whether or not they should gate their content. However, this is one of the most effective ways to attract and identify leads who care about your business. Putting out gated content is wise if you’ve already built a library of content that you are sure your audience is enjoying. This way, loyal readers won’t be apprehensive in giving you their names and email addresses to read what you wrote. One-size-fits-all marketing is dead. Users are now craving for that human touch that allows them to cultivate deeper connection and more meaningful relationships with brands. In a SalesForce survey of 7,000 consumers, 57% of the respondents said they are willing to share their data in exchange for personalized offers, 53% for personalized product recommendations, and 52% for customized shopping experiences. 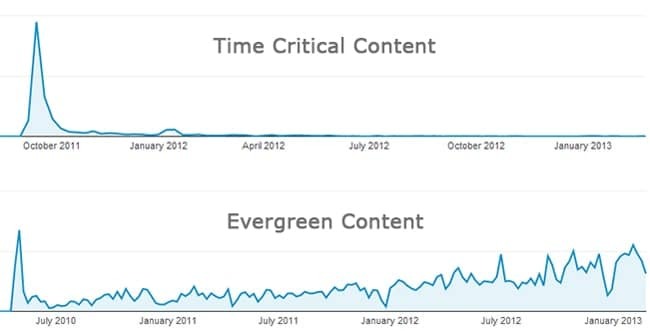 Content is the currency of the web nowadays, so you should regularly publish content. This not only helps your credibility as an expert, but it also increases your reach and exposure. But don’t create content for content’s sake. You want your content to provide value to your audience, not just sit there and make your brand look pretty. 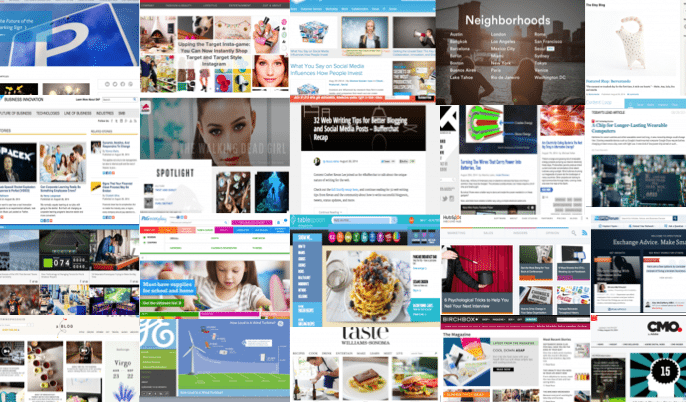 When you publish valuable content that informs, educates, and entertains your target audience, you earn their loyalty. It’s easier to convert leads once you’ve gained their trust. Also important is the frequency of your publishing. Publishing quality blog posts more often shows your target audience your commitment to go to great lengths to provide them with valuable content that addresses their concerns. 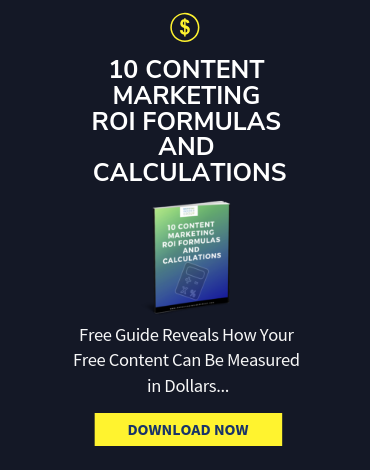 According to a study by Hubspot, companies that publish 16 or more blog posts per month generate 4.5 times more leads than those who publish only 0-4 posts per month. The study further revealed that 47% of B2B buyers rely on content for research and making purchasing decisions. More significantly, B2B buyers consume at least three to five pieces of related content before contacting a sales person. 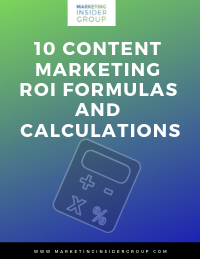 Leverage this information by producing more content more frequently so you can cater to your audience’s information demands. Lastly, while moment marketing is a great way to stay relevant or go viral for a certain duration, coming up with evergreen topics in your niche is a sure way to get noticed no matter what stage your potential clients are in the sales funnel. You can start a Facebook group where you can have regular discussions on pressing issues relevant in your industry. Use hashtags on Twitter and Instagram to connect with like-minded individuals or specific causes or topics. LinkedIn is also a great platform to communicate with prospects and tell them more about your brand. It has impressive traction as a B2B lead generation network. In fact, more than 80% of B2B leads come from LinkedIn—a tell-tale sign that CXOs need to expand their social media. With every other marketer reaching out on social media channels, merely connecting to prospective customers is not enough. To reinforce the “humans” behind your brand, be sure to send personalized connection requests and messages to cut through the noise of spam and irrelevant marketing. Best results come from being an active member of your community. Don’t take word-of-mouth marketing for granted—it’s still the primary factor behind almost 50% of buying decisions. More stats show that B2B companies with referrals reportedly have 70% higher conversion rates and a similar faster close time on sales. Did you know that a lot of landing pages contain more than one offer? If yours falls into this category, it’s time to rethink your CRO strategy. Marketing Experiments found that multiple offers in one page can decrease conversion rates by up to 266%. Focus on a single goal for each landing page and be clear with your messaging in your CTA to reduce distractions. Your primary goal is to convert your visitors into leads, so make sure your landing pages and CTAs are convincing. Make it an engaging, straightforward, and natural experience for them to type in their information on your forms. A study by RevLocal found that 92% of consumers read online reviews when considering a product or service. If your website doesn’t have a testimonials page or a reviews feature, it could be hurting your chances to get contacted. Create opportunities for your clients and customers to add a review and post it on your website. Reviews build consumer trust, improve your local search ranking, and ultimately improve conversions. The RevLocal study also found that consumers are likely to spend 31% more on businesses with stellar reviews. The persona of your brand is not limited to your website and social channels only. Branch out and appear on other sites to grow your credibility, such as guest blogging, getting interviewed, or answering questions on Quora.com. Email is still the most popular lead generation channel—77% of B2B marketers use email marketing to drive leads, according to SuperOffice’s State of B2B Email Marketing report. In B2B, there is a lot of value at drawing the attention of your competition’s customers. 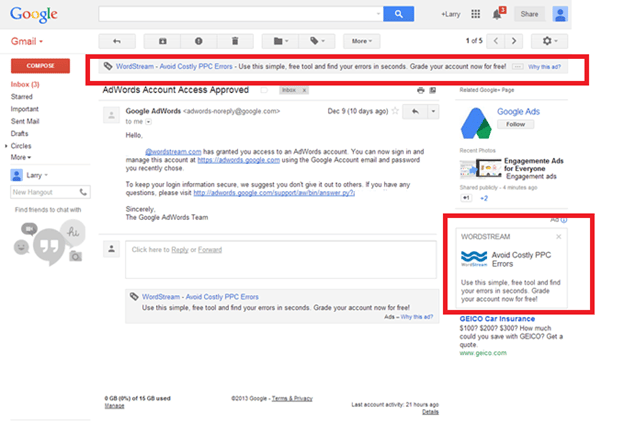 Gmail ads allow you to target your Google Ads campaign to people who have received emails from your competitor. Sounds sneaky? It is, but it’s effective. It gives you direct access to people who are already familiar with the nature of your service. Video presents a promising opportunity to reach your target audience. More than 75% of Fortune 500 executives view video content regularly and around two-thirds of that number visit the vendor’s website, as per a Forbes study titled Video In The C-Suite. So, it’s safe to say that video is a highly-effective way to attract leads. Indeed, video content has been known to be a major driver in purchasing behavior. Animoto’s State of Social Video study found that 64% of consumers make a purchase after watching branded social video content. What’s more, a video on a landing page can increase conversions by 80% or more, according to data from Adelie Studios. HubSpot’s State of Inbound Report also found that 48% of marketers are already planning to include YouTube in their content strategy in the coming years. Don’t lag behind the competition. Get your camera rolling! Give your digital footprint a boost by promoting your content on Facebook, Twitter, LinkedIn, and any other social platform used by your target market. However, most marketers have too much on their plates to prioritize social networking. Thankfully, there are numerous tools and apps for automating or scheduling posts, shares, likes, tweets, and any other social engagement you can think of. Sprout Social and Buffer are highly recommended by marketers, as they not only automate sharing but also provide analytics to make sure that you’re sharing content optimally. It’s not enough to just be visible online. Your clients see you on the web, but do they physically see your brand anywhere else? Attending offline events such as digital marketing conferences and trade shows can help you generate leads from other areas of interest. Some businesses, especially the older and larger companies, do not rely on the web for networking with partners and customers. They like putting a face on the name, and they want someone they can trust. B2B online queries are noticeably shifting from personal computers to smartphones. Indeed, Google’s research confirms that 50% of B2B queries are made on mobile phones. This number is expected to reach 70% by 2020 as we take into account the entry of more B2B employees from the “digital generation” (Millennials and Gen Z), and the increasing use of smartphones by older generations. Is AMP implemented on my website? Are all my web pages responsive? Do they pass the Google Mobile-Friendly test? Is the content of my website optimized for mobile-first indexing? Am I maximizing engagement with micro-interactions? Optimizing your website for smartphones is not only beneficial to your B2B marketing goals but also help your buyers make business decisions efficiently. You need to factor mobile into an omnichannel customer journey and finding new and improved ways to reach and engage your audience. Retargeting is still underutilized by B2B marketers, but it is catching on. About 70% of marketers allocate 10% or more of their budgets to retargeting. So, if you haven’t already, start retargeting your website visitors now and increase the chances that they choose your brand over your competitors by 70%. Marketing automation tools are the marriage of email marketing tools and CRM. Marketing automation software connects with your CRM to automatically send highly targeted and personalized marketing emails to leads. This tactic ensures that you put relevant and timely content in front of the right prospects. Thomson Reuters testifies that their revenue increased by 172% when they adopted a marketing automation solution. Nearly a third of marketers attest that email is their most effective lead generation tactic. In itself, email marketing is already acing it, and it has been for quite some time. Integrate the functionalities of CRM, and you’ll see why B2B marketers rank marketing automation as one of the best ways to generate better and more qualified leads. 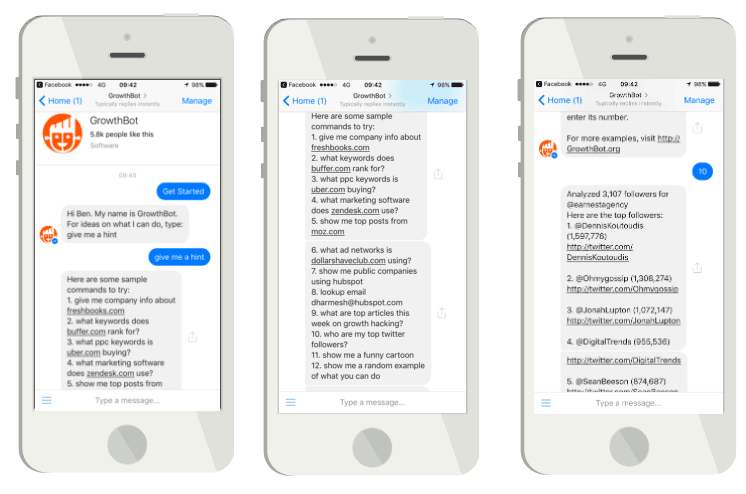 Chatbots are artificially intelligent messaging-based bots that can autonomously engage your website visitors and automate business transactions. AI processes text or speech input by your prospect or customer and sends an appropriate response. Adopting chatbots sends a strong message to your prospects such that you want them to have a seamless interaction. Additionally, integrating AI into your lead generation strategy creates new avenues for process efficiency and optimization. Minimizing your dependency on human customer support and lead generation will also inherently reduce operational costs. You don’t want to cast your net blindly, so keep testing new strategies and ideas to figure out which you need to stop, and more importantly, which you need to scale. Influencer marketing is as strong as ever, but in 2018, we’re seeing a shift towards brands making use of lesser-known influencers (people with authority in smaller niches). These guys might have fewer followers, but their relative level of influence remains the same. The industry is getting saturated, and major influencers are getting bombarded with requests. Not only does this make popular influencers very expensive, it also makes them extremely picky about who they work with. The best solution to this is for brands to leverage micro-influencers. These micro-influencers are relatively untapped despite their huge potential for reaching new audiences effectively. What’s more, they tend to cost less and aren’t sick and tired of unsolicited approaches from other brands. Improve your market research, data gathering methods, and analytics to determine who your ideal audience is, where your prospects are coming from, which channel is generating the most leads, and which leads are more likely to convert into sales. Data analytics can also help you determine behavioral changes in your buyer personas so you can adjust your drip strategies accordingly. Analyze constantly! Metrics and numbers don’t lie. Identify significant trends and learn from them. At a minimum, you should be collecting data using Google Analytics, but if you’ve got the resources, it’s worth investing in a CRM tool that fits your specific needs. User behavior evolves just as quickly as innovations in technology. It’s important to study your target audience and create effective buyer personas to better understand users’ pain points, challenges, goals, and buying behavior. If last year, you were able to provide their needs and wants, then maybe this year you can focus on another challenge they may be facing. Think about something you can address with an innovative product or content offer. Remember that your buyer persona will shape your marketing strategy and that this is where it all begins. Your sales personnel are the ones who interact with your clients, so it’s important to get their qualitative feedback so you can combine it with your quantitative data. You can also get a clearer picture of who your buyer persona is from your sales team. Sales and marketing have always worked hand in hand to achieve the best results. Proper sales and marketing alignment usually results in higher conversion rates, better performance from both departments, and a more functional working environment altogether. Is your website on the first page of Google? More than 90% of users don’t go beyond the first page of SERPs. This is why the first page is a much-coveted spot. SEO today is all about relevance and authority, and that’s how you should address your brand’s online assets. Also keep in mind that ranking well isn’t just about the traffic. Getting your business on that first page also says a lot about your company, as it establishes you as an authority in your niche. Experiment with different strategies. Unify and integrate your tactics across multiple lead generation channels. A single voice that resonates shows your audience a solid brand personality. This is imperative in B2B lead generation to show users and businesses that your company is reliable and that your brand is here to stay. You’d think that most companies have figured out the best ways to collect prospect data. Unfortunately, you’d be wrong. In reality, designing the actual lead generation strategy is still a challenge, as 42% of 845 companies admitted having difficulty in planning a tactic for generating leads according to a survey by the Information Technology Services Marketing Association and Rain Group. The good news is that plotting your strategy for lead generation is as easy as asking the what, who, where, when, and why of the sales and marketing processes. These questions should be set forth and answered carefully before planning a successful lead generation strategy. Your answers can be used not only as benchmarks for when you move forward, but also to avoid common mistakes, make better, informed decisions, and show where you need improvement in the planning, as well as with the process itself. Assuming that you already know who your targets are (as you should, by now), the next thing to find out is their needs. Ask what their goals and pain points are to fully understand what value to deliver and how to tailor your message when communicating with them. This means doing industry research, surveying consumers, consolidating information, and trying to make sense of the data. Develop a unique selling proposition (USP) about your business and make sure that the entire organization aligns with and understands it. The USP informs your target market why they should buy or get your product or service and what makes you different compared to the competitors—what can you promise and deliver to potential customers and what is your value proposition? The message should be communicated right from the start of the buyer’s journey, as it will make your business stand out. You cannot generate a lead without knowing your business’ definition of “lead.” Make sure that all the teams involved in the process (especially the Sales and Marketing departments) agree on who the company is trying to get. Aside from having a definite explanation of your target lead, this step can also help in Sales and Marketing alignment. How do you reach your leads? Find out which channels to use to communicate with your leads by learning which websites they usually go to, the frequency of visits, and how they search for information. 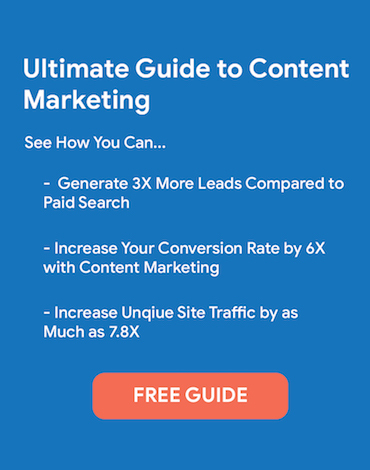 Once answered, you can utilize strategies like content marketing, paid advertising, sponsorship, and affiliate programs targeted at your prospects. From this data, you can then set up surveys, social media monitoring, interviews with current customers, A/B testing, and a lot more to gather information on or drive your leads. At what point in the sales process do you want to generate leads? 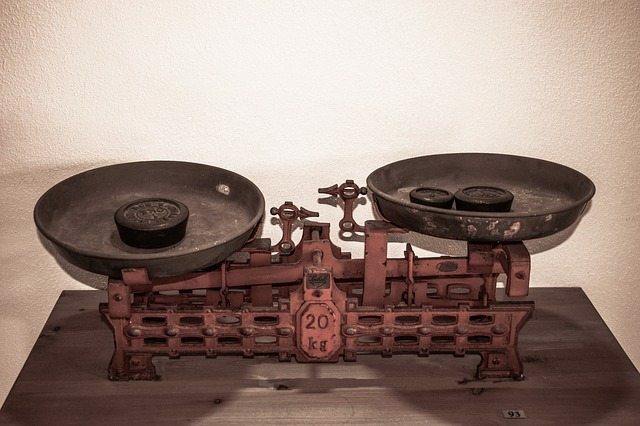 Every step of the sales process can generate leads, albeit not of the same quality. Therefore, the approach should differ at each point. For example, someone who’s in the early stages is still learning about their problem and will probably need more nurturing. However, the same technique will not work if the person is already ready to buy. Know the stages of your sales funnel inside out, and you’ll be able to zero-in on potential bottlenecks so that you can maximize conversion rates. Leads should be directed to the Sales team for the final step (closing), but then, some of them may need to be directed to Marketing for nurturing, as they may not be ready to make the purchase yet. Lead nurturing is the process of directing leads along the funnel to prepare them for the last part of the buyer’s journey by informing them why they should buy from the business. It’s essential to come up with an effective nurturing process and stick with it. To establish if a lead is ready for purchase, your company should first have a method for lead scoring. In lead scoring, a lead can either be a Marketing Qualified Lead (MQL) or a Sales Qualified Lead (SQL). An SQL is a lead for a person in the Sales team to reach out to, while an MLQ is one that is for Marketing, as further nurturing is needed. There are key indicators needed to determine the score of a lead. Metrics for these indicators can be set through a Service-Level-Agreement (SLA) between the teams. Any content that earns you a place in customers’ minds as a trustworthy source is worth creating. And you can choose to deliver this content via blog posts, videos, images, infographics, webinars, whitepapers, ebooks, and the like. Depending on the type of content you create you can learn which distribution channel should be used—websites, blogs, social media accounts, and email are all great options. You can even leverage gated or exclusive content to collect key information from your prospects in exchange for giving them access to your content. What do you want customers to do after they purchase? Interaction with a lead or customer shouldn’t end after the purchase. After all, satisfied customers can be utilized to gain even more leads and prospects, as they help you put lead generation strategies in the context of the customer journey. 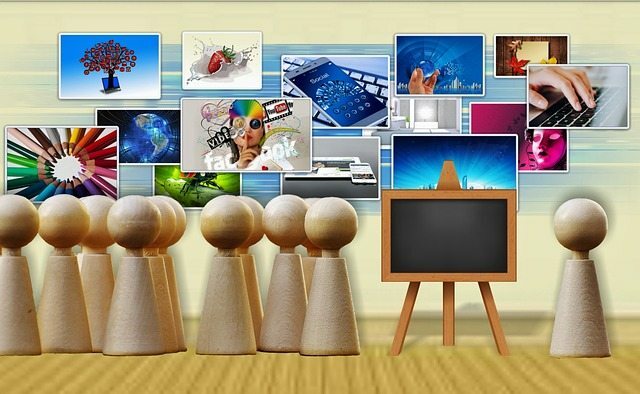 Customers can be beneficial in gaining good publicity, especially in this era of social media. Nowadays, there is no better way to track your lead generation progress than through CRM software. It’s reached the point where if you don’t have an effective customer management tool, you’re planning to fail. With the right CRM software, you can quickly and accurately track the status and success of leads based on the goals and metrics set. In addition to behavioral data, these tools can help store and manage contact data, which can help in your lead qualification process. Raring to Generate More Leads? Nailing your lead generation strategies is the foundation of all your other moves along the sales cycle. Be smart and creative in getting your visitors to engage and convert. 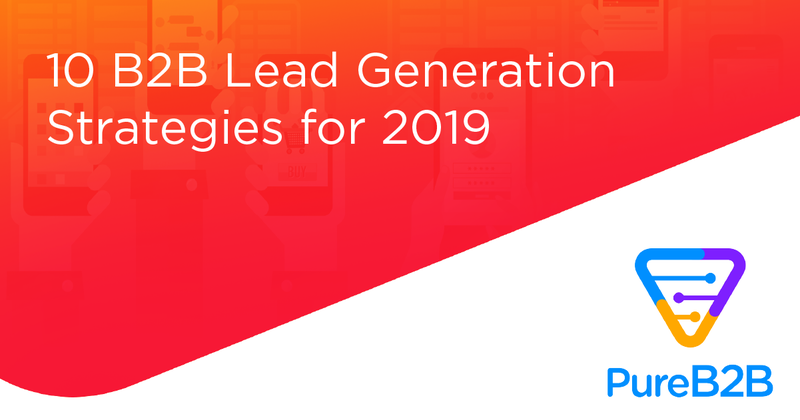 The post 10 B2B Lead Generation Strategies for 2019 first appeared on PureB2B.com. Great list, Anna. You covered a lot of things here, the Gmail ad targeting is an interesting tactic. I wonder how successful it is? Encouraging online reviews is important, but so it responding to them. It looks like the new marketing funnel is expanding, which also gives more opportunities.